When you make the decision to enter into a real estate transaction, you want to be certain that your immediate and future legal interests are protected. Whether you are an experienced commercial property investor or you are considering the purchase of your first home, competent legal representation is necessary to secure your rights. Before you sign a contract, contact the law office of Blair M. Johnson. In every real estate transaction or dispute, we employ strategy, skill, and diligence to protect the investments and legal rights of our clients. Contact us today for an initial consultation or case evaluation. Preparation and negotiation of contracts: We are experienced in all real estate contracts including purchase and sale agreements and lease. We will inform you in advance of your rights and obligations to protect you against potential future liability. Real estate closings: Our firm has represented hundreds of buyers and sellers in residential and commercial real estate closings. Blair M. Johnson will work with you on all elements of the closing, including walking the first time Buyer or Seller through the entire transaction, helping to secure financing, obtaining title insurance, researching to make sure the title is clear, and either conducting the closing or being present at the closing to ensure that your legal rights and interests are protected. Commercial and residential lease agreements: If you are a landlord or tenant considering a commercial or residential lease, we can assist you in the interpretation, negotiation, modification or drafting of your contract. If you are in a commercial or residential lease agreement and are facing a dispute or need a lawyer to enforce your contract, please contact us. Zoning and land use changes: When you are interested in challenging land use or need a zoning permit, Blair M. Johnson can present the evidence you need to the zoning administration. We can assist you if you are seeking a permit or to change the use for residential or commercial property. 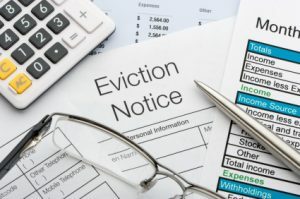 Evictions: We have represented hundreds of landlords and tenants in lease disputes, including the defense of tenants or representation of landlords in eviction cases. Foreign real estate property investment: We are experienced in handling local real estate transactions and will work with foreign investors to identify, negotiate, and close on local property for investment purposes. We are experienced in handling both commercial and residential real estate transactions.